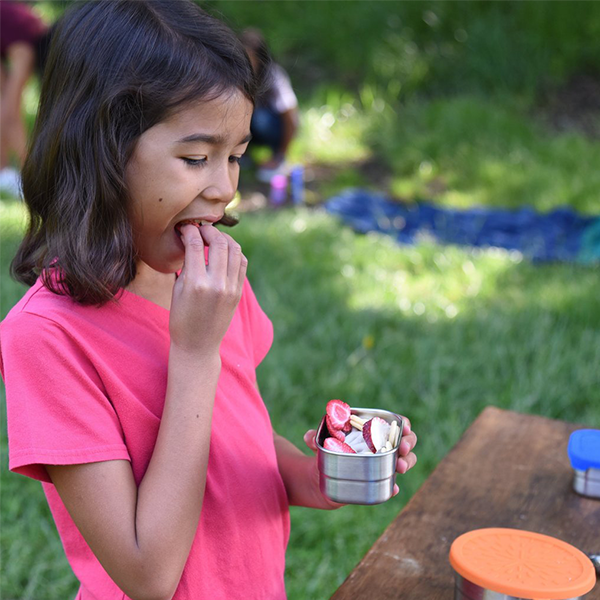 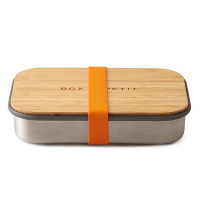 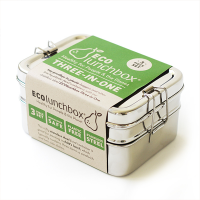 ECOlunchbox’s Splash Pod snack container is both plastic-free and leak-proof. 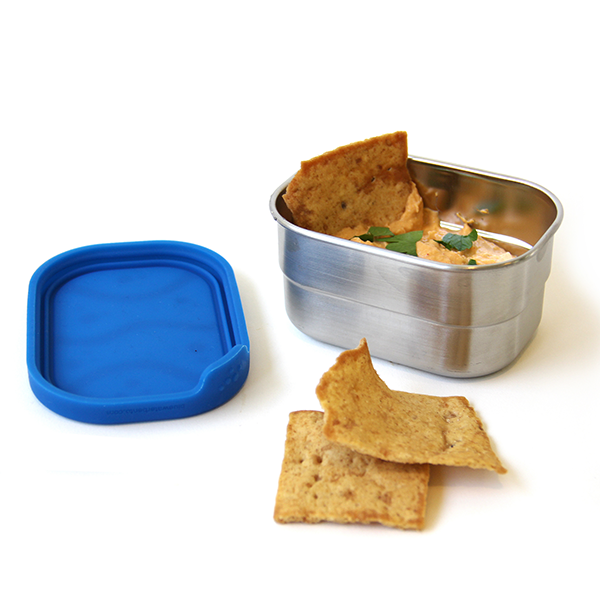 Made from durable, food grade stainless steel and a silicone lid which is BPA, BPS and phthalates free, this snack container is perfect for nuts and seeds, cut up fruit and vegetables, and because it is leak proof, it is also good for liquids such as hummus, yoghurt, dips and purees. 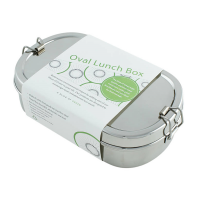 Practical and easy to use, the rectangular shape makes it ideal for long narrow foods such as carrot and celery sticks, a staple of school packed lunches! 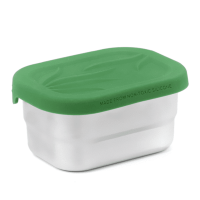 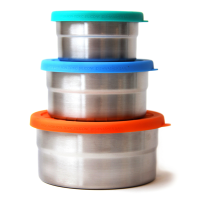 The lid has embossed non-slip tabs for easy opening by little hands and the bottoms stack away neatly inside each other after use for compact storage. 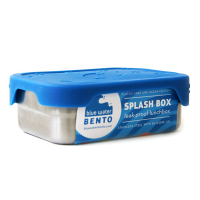 Two Splash Pods sit side by side on top of the ECOlunchbox Splash Box. 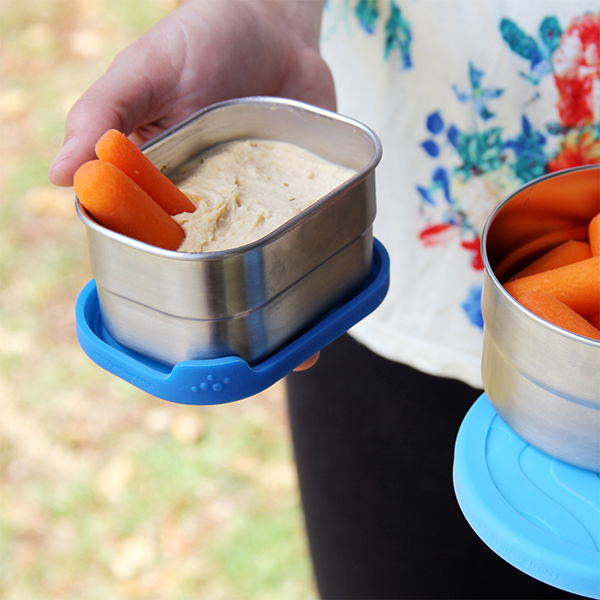 Put carrots in one and hummus in the second for dipping. 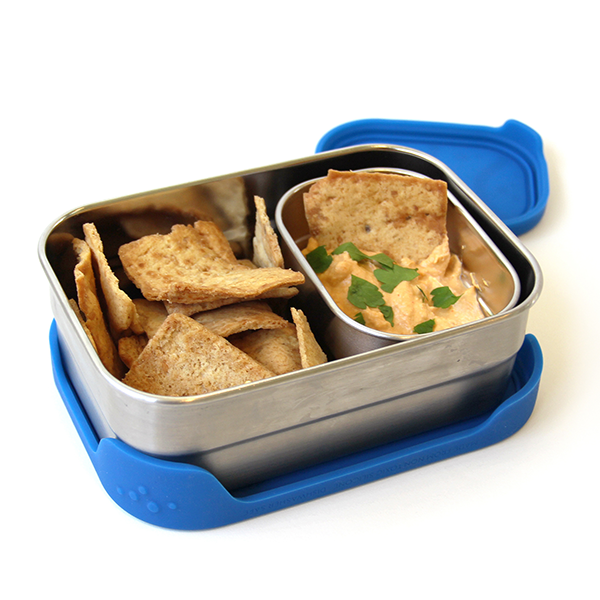 Enjoy your lunch and then pop the two pods inside the Splash Box for the ride home to save on space in your lunch bag, backpack or briefcase. 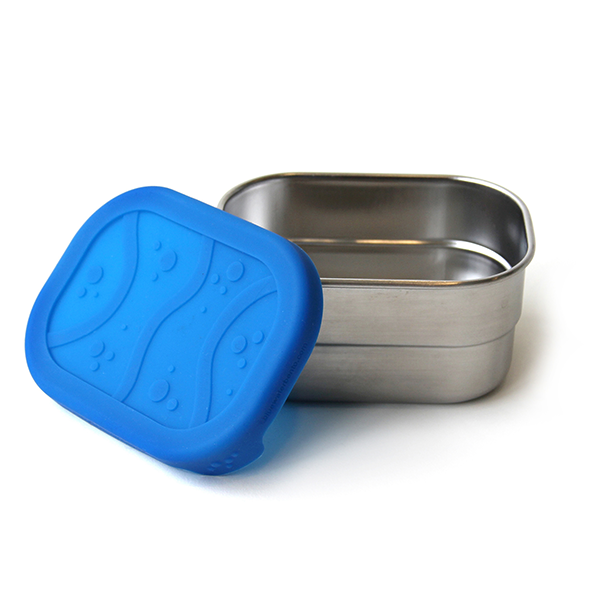 Measures 10cm (4") long x 7cm (2.75") wide x 5cm (2") tall.